Listen online or download as mp3 to listen later. You can also subscribe to our podcast – available using iTunes or directly via rss. 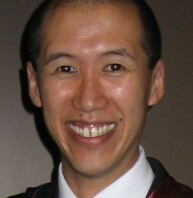 About David Yu: David Yu is the minister of Wahroonga Presbyterian Church. He is married to Stefanie. He has been looking after the congregation since February 2009. David initially trained as a chemical engineer. He later studied at Moore Theological College and then Presbyterian Theological Centre before being ordained as a minister of the Presbyterian Church of Australia. David is keen to reach the community with the gospel of the Lord Jesus Christ and so he is committed to the regular preaching and teaching of God’s Word, the Bible. David’s other interests include coffee, Formula 1, Beethoven and Survivor.